Cognac is an area dominated by huge, corporate brands such as the likes of Hennessey, Remy Martin, Courvoisier and Martell to name but a few. Many of these big brands have huge marketing budgets and have become household names. 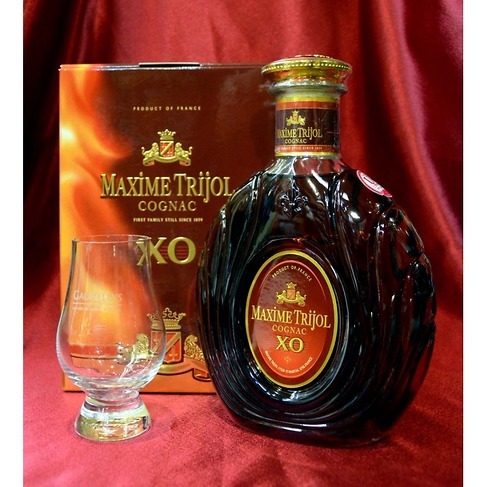 A name you might not be familiar with is Maxime Trijol. 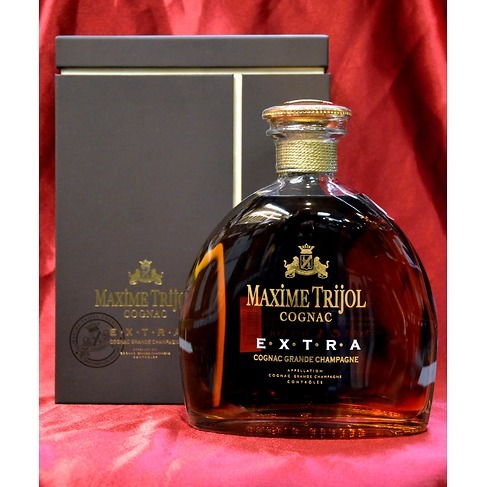 Established in the Saint-Martial-sur-Né area in Cognac back in 1859, Maxime Trijol is run by Jean-Jacques Trijol and his two daughters, Anne-Sophie and Pauline. Now, I would be lying if I said that Trijol was a small company, after all, it has 22 stills, grows it's own grapes and ages its own Cognacs. But what separates Trijol from the other big producers is the pride that they take in their products. From their most basic Cognac to their stunningly delicious Extra, the emphasis is always on the quality. Tasted: Feb 2006 A deeper, woodier nose than the ‘Elegance’. Definitely showing a greater degree of age. It’s actually quiet whisky like with earthy dried fruits, herbs and oodles of orange fruit and mature honey, along with a nutty note and a thread of smoke. It could almost be a sherry casked whisky! The palate is like the nose, deep and woody. Elegant yet punchy with quiet a noticeable amount of wood tannins, dried fruit and orange peel. Like the nose it seems quiet whisky like. The mid palate weighs in with a veritable bucket load of spice and delightful mature honey. Very long finish with a peppery kick. From a blend of spirits around 40 years old Tasted: Feb 2006 Awesome aromas which have a lovely crisp intensity. 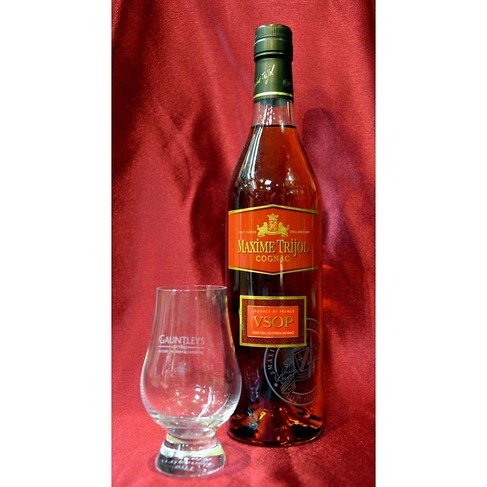 A marked similarity to the VSOP but amplified. Lovely soft orange/ apricot fruit with buckets of luscious, liquid honey. 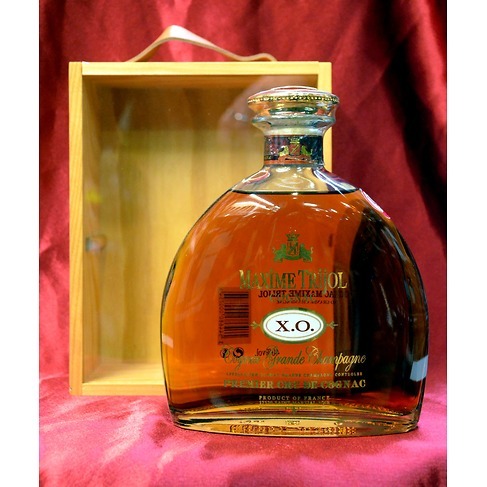 It is more delicately spiced than the XO and has a greater degree of luscious natural honey. Stunning in the mouth rich and fruit with an incredible rancio of honeyed dried fruit, raisins, sultanas and the sweetest, delicate spices imaginable. Opens up into a very floral/ violet middle and has a multi-dimensional quality with a superbly balanced, delicate yet powerful finish. From a blend of spirits which are a minimum of 10 years old. Re-Tasted: Mar 2015 A lovely nose of rich, spicy dried fruit – grape and apple. Very elegant with hints of apricot, tangerine and warm spices. The palate is quite citric to begin with. Dried apricot and tangerine follow and it becomes quite nutty and praline-like towards the middle as the oak appears. Richly spiced and elegant with those spices lingering magnificently along with hints of cocoa, minerals and light smoke. 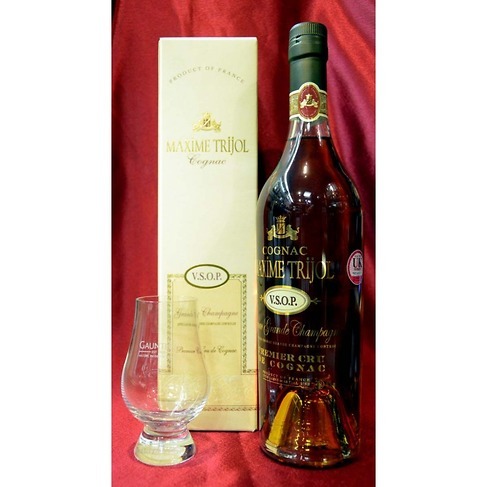 Tasted: Feb 2006 From a blend of spirits which are 25-30 years old. Wow what a nose. Deeper with a greater age. Mellow and mature with lots of seeped apricot/ peach aromas and soft sweetly spiced dried fruit rancio. Awesome depth with a floral/ violet top note and hints of rich coffee. Quite rich and honeyed with hints of creamy spice. A very subtle yet intense palate. Elegant yet powerful. Stunning with a myriad of flavours - rich raisins, toffee, dried fruits, a subtle spicy/floral middle with oak and sandlewood notes. An incredibly long and complex finish leaves the mouth coated in exotic oils and honeyed walnuts. Absolutely stunning.